As I've been trying to improve my health I've also been trying to bring more natural products into routines, and none needed an overhaul more than my facial skincare. I used to be a religious user of natural, cruelty free products. I'm ashamed to say that a good few years back I stopped this and opted instead for high end, ridiculously expensive brands. I have no idea why I switched, looking back I honestly don't know when it happened, it just sort of did. Anyway, during my quest to become more natural (still a long way to go on hair and nails!!!) I made a decision to use natural products again, I've also realised that I need separate products for my aging skin (😥). Literally within a week of doing this I was offered the opportunity to review some Moringa oil, so it seemed as though it was meant to be. I wanted to give it a good couple of months to make sure that it did indeed work on my skin, I didn't have a breakout and I was happy with the product.
' Moringa - reputed to be the best natural nutritional supplement in the world, bar none! 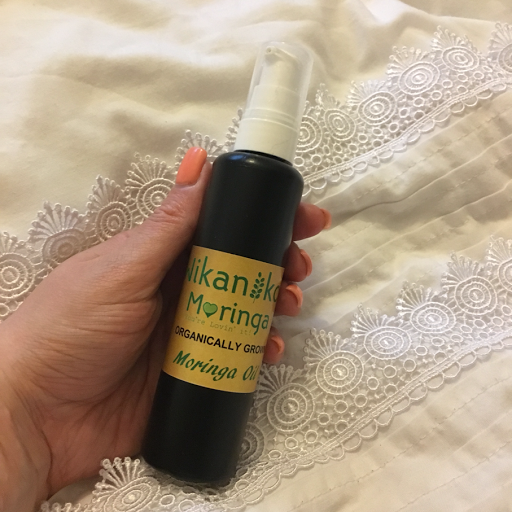 I was sent some Moringa oil to try out as a moisturiser, after a bit of research on aging skin (😥) I found that it was nighttime when I needed that extra moisture and goodness that an oil would provide so have been using my Moringa oil as part of my evening routine. Never would I have bought an oil moisturiser for my 'Normal' combination skin. I'd have instantly thought it would make my skin too greasy, but my skin soaked it up! As you can see packaging is simple, which I must admit I liked, to me this added more emphasis to the product and allowed the product to do the taking for itself without being swayed by pretty packaging and a product with no substance. 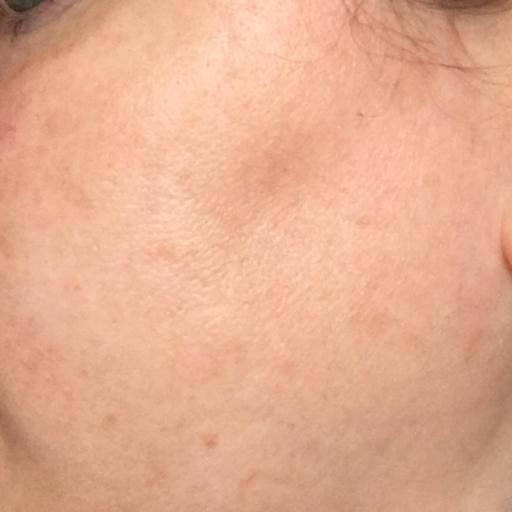 Sorry, this is brutally close, but this is my skin seconds after applying the oil liberally, as you can see not greasy at all and it could easily be used for a day moisturiser too. The oil comes in pump form and a couple of pumps easliy does my face, neck and décolletage. I apply after I've removed my make-up and cleansed with a muslin cloth. The oil has no additives, so there's no fancy smell which I admit, does take a little getting used to. I love my essential oils so would have preferred a little something to make it smell nicer. 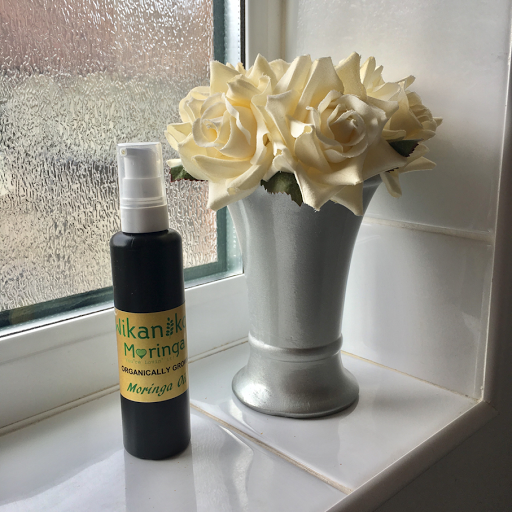 Moringa oil is produced by a Norfolk company 👍🏼 to a 'local' and U.K. company, and grown in Spain and is £16.95 for 100ml. The oil is 100% organic and cruelty free which again is a big plus point in my book. There are loads more health benefits of Moringa taken in other forms too, check out this video made by Wikaniko. I shall most definitely continue using this product. I can see my skin looks more nourished, I've had no spots since using it and I love how natural it is. Disclaimer: I was sent the product in return for my honest review.